Jane Sharp - Writer - Poet - Musician : Does this make me a Professional! The story of how I returned to my Methodist routes, is quite funny. It was all by chance really, if there is such a thing. I like to think that God had a hand in pointing me in the direction of Clock House. It all started when David and I went to the St Barnabas Church, in Beckenham, on Christmas Morning. St Barnabas, being Church of England, and being the Church that we live right next door to, was our obvious choice. We had just moved to Beckenham, and thought that we would get off to a good start, and try to integrate into the community. We also wanted to thank God for our good fortune in life. The Christmas service was lovely, and we did have a little chat with the vicar afterwards. When the next Sunday came round, we thought we would start the New Year as we meant to go on, and returned to the Church for Morning Prayer, at 10 a.m. Oh dear, although we could hear the music inside, the door appeared to be locked. No matter how much we pushed and pulled at the handle, we could not get in, and short of banging on the door, which we were not inclined to do, there was nothing for it but to leg it out of the churchyard. We decided to take a walk anyway, thinking the whole thing most unusual. And that is when we saw a host of people entering the Methodist Chapel, on Bromley Road. 'Let's go to the Methodist service,' I said to David. So that's what we did. And we were made very welcome, in fact, we stayed for tea and biscuits, and a chat. Everyone thought it very amusing that we had gone to the Methodist service by default, as it were. But in my heart, I knew that we had been directed there. 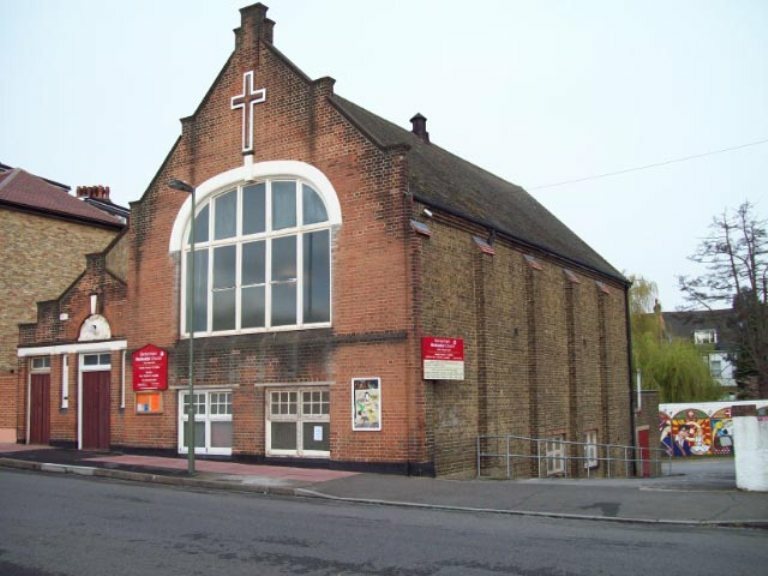 It was as though God had had his foot behind the door at St Barnabas Church, I could hear this little voice saying, this is where you are meant to be. A week later I met Mary Sawyer, the organist from the sister church at Clock House. And the rest is history, as they say. When Mary found out that I played the piano, she asked if I would be her assistant, and play the organ for the Clock House service. Her regular assistant was having a baby, and that left a vacancy. Of course I said, yes. Fate, or whatever was sweeping me along. I had to go with the flow. As a child I was christened in the small Methodist Chapel, at Long Preston, in the Yorkshire Dales. I went to Sunday school, I attended the Wesleyan Guild meetings, I went to fellowship gatherings. All that was a very long time ago. At the age of twelve or so, for some reason, a transferred my allegiance to the Church of England. It probably had a better (or so I thought) Sunday school. Anyway, I stuck with the Church of England. But now, I am very comfortably back in the Methodist fold, and if truth be known, I don't really mind which church I worship in. There are several churches in Beckenham, I haven't been into them all, yet. But I have been into the big church on the high street, The Church of St George, and it is splendid inside. I haven't been back to St Barnabas, though I expect I will pop in from time to time. So, that is the story of how David and I became connected, or reconnected with the Methodist Church. And today I received a lovely little cheque of £90 as payment for playing the organ at Clock House. Does this make me a professional? It is a bonus, (£15 every time I play) that I am going to put to very good use. I haven't quite decided what yet. It's funny how things work out, isn't it. A little phrase that has cropped up more than once this week, is 'giving to get.' How true it is, when you give wholeheartedly, as they say, you receive ten fold.